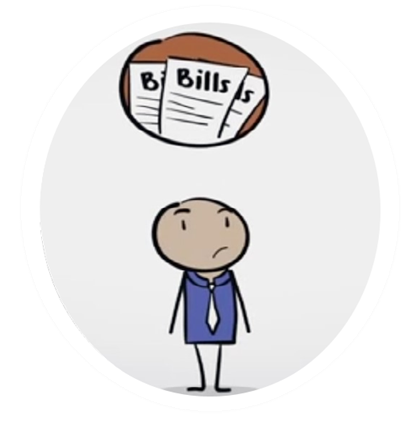 When you’re sick or hurt, worrying about how your bills will get paid can make you feel even worse. But if you are uninsured or underinsured, those bills can pile up fast. Loans for medical bills can ease the financial burden, but loans from the wrong sources can make you feel even worse than before. Loans for medical bills from LoanNow allow you to put money worries aside and concentrate on getting back on your feet. Many insurance policies carry deductibles and co-pays. Those are costs that must be paid out of pocket before insurance payments kick in – or in conjunction with insurance claims. Especially with high deductible policies, it’s possible to owe thousands of dollars even after the insurance claims have been fulfilled. Loans for medical bills can cover deductibles and co-pays, as well as make up for lost wages during a long recovery. The Affordable Care Act was designed to reduce the number of individuals without healthcare coverage. But while millions have obtained coverage (many for the first time in their lives), many people still can’t afford insurance, while others willingly go without coverage. For those individuals, a single injury or serious illness can result in huge medical bills – with no resources to pay them. Obtaining Loans for medical bills may be the only alternative to declaring bankruptcy. Many people who are uninsured or underinsured also have marginal credit and few resources. As a result, they are unlikely to be approved for bank loans for medical bills. But loans from places like payday lenders can inflict serious, long term financial damage. Borrowers facing the prospect of getting caught in the payday loan trap to pay medical bills should seriously consider requesting charity care or declaring bankruptcy instead. Being sick or injured is difficult enough without the added worry of how to pay for your care. It’s easy to apply for loans for medical bills from LoanNow in the privacy of your own home. You’ll receive a response within minutes † and if you’re approved, your funds will be deposited directly into your bank account as soon as the following business day. If your credit isn’t perfect, we may still be able to approve you – with LoanNow, you’re more than a FICO score, and we consider your whole financial profile in making lending decisions. With LoanNow, you can put your money woes aside and concentrate on getting well. Check us out today!